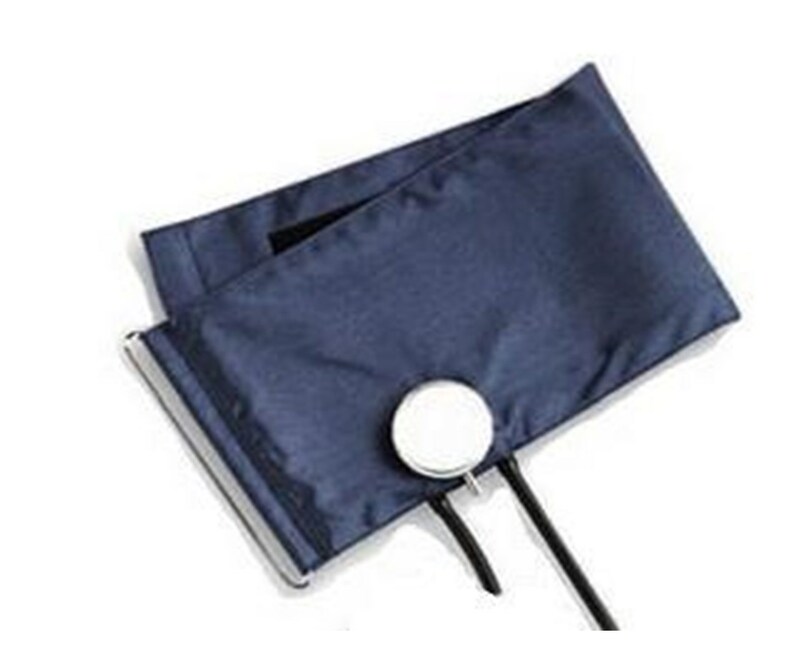 Clinical studies have shown improved detection and treatment of hypertension when regular home blood pressure monitoring is done in consultation with a physician. Blood pressure measured in a doctor's office or hospital setting may cause anxiety and lead to an elevated reading; home measurements generally reduce the "outside" influences on blood pressure readings, and can provide a more comprehensive and meaningful blood pressure history. 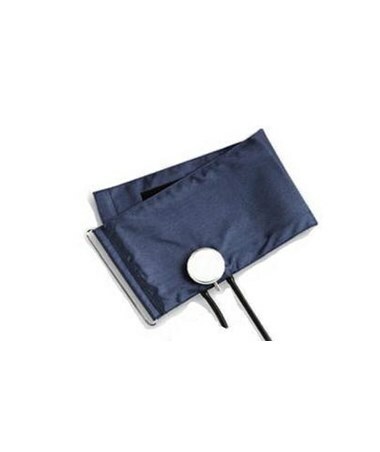 ADC's full line of homecare products, including self-adjusting D-ring cuffs, make home blood pressure management easy, comfortable, and convenient. The cuffs, crafted of sturdy navy nylon, are easy to use and arrive complete with a two-tube latex-free inflation bladder and attached chestpiece. 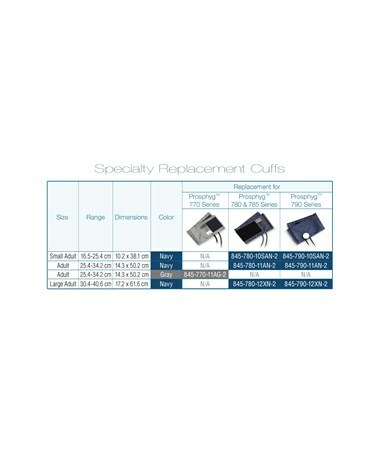 They are available in three sizes - small adult, adult, and large adult - to suit every clinician's individual needs. Please see the size chart below, then select a cuff size from the drop-down menu in the upper right corner of this page.